It should be said, horror is one of those special treats that is our favorite to dish up, and after ten years – ten! an eternity on the internet – we’re reminiscing on the dark times we’ve all had together. 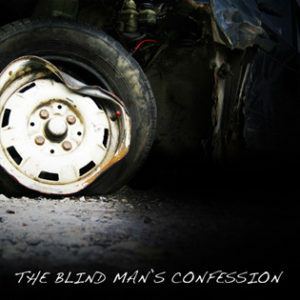 Arguably, the show that launched Radio Drama Revival was creator Fred Greenhalgh’s production “The Blind Man’s Confession.” Adapted from the original short story (published in Blue Murder Magazine) which Fred workshopped at a ‘live storytelling’ class in college (hmmm what would this sound like with sound effects and music added?) 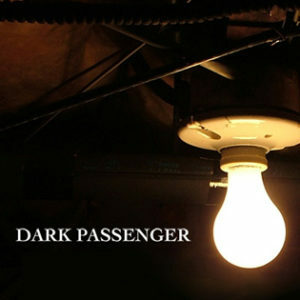 the incredibly dark story starts with a teen out joyriding on a twisted country road in rural Maine and unfurls through a grim set of events after that car careens off the road. A cautionary tale that being flung from a fast-moving car might not be the worst that could happen to you. When Fred originally launched the story it was too dark to be played on over-the-air radio and he thought – gosh! there must be somewhere else to release it – and that got his wheels churning (ha ha) about the internet. So set in motion a set of events that would lead to Radio Drama Revival’s creation. Fred’s twisted childhood shows itself again, with a story set in a haunted house inspired by Fred’s own boyhood home in Downeast Maine, and a cameo appearance of the player piano from hell. A special shout out to Scott Hickey who let us air “God of the Razor” as one of our very first episodes of Radio Drama Revival. 2008 – One hell of a Halloween special! Our second incarnation of the Halloween Horror Series featured the Horrorscopes show “The Horror of Walker Point” (produced by Bill Dufris, to be Fred’s great co-collaborator in the years ahead) and a sinister tale of a computer gone mad, “Marienette 1.1” by Roger Gregg. 2009 – Live Halloween Show! 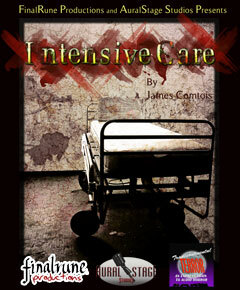 We got it into our head that merely re-playing existing radio plays was not good enough… we wanted to do it in a big way! So FinalRune Productions did a show on Radio Drama Revival that was never to be repeated: live actors, live music, live sound effects, in front of a live audience aaaaannnddd!!! played live over-the-air. If you’ve ever attempted a live show that made all this tech work, and also worked as a dark good spooky show, you know how tough it is! Featuring stories by Roger Gregg, Fred Greenhalgh, Mark LaFlamme, and Kevin Anderson. Also! This was the year that We’re Alive was born (or, rose from the dead?). Perhaps modern audio storytelling should be told as BWA, and AWA. Remember that Bill Dufris guy? (He did an awesome job with this HP Lovecraft piece) – so, Fred and hims get to talking…. Hey, remember how Stephen King in Danse Macabre talks about staging a radio play of “War of the Worlds” but set in Bangor, Maine? What if WE did that?! Fred – who very much did not want to create ‘yet another War of the Worlds knock-off’ decided to take it in his own direction, and turned the premise into the launching page of what would succumb the better page of his next four years – The Cleansed. This also was our first “Transcontinental Terror” radio show – featuring stories from Willamette Radio Workshop and Icebox Radio Theatre. How the internet works! We won an award (Silver Mark Time for “The Cleansed”) and while receiving the award at CONvergence in Minneapolis, met these awesome folks at Aural Stage Studios (who were there celebrating their win for the show 1918). So began Matthew J Boudreau and Fred Greenhalgh’s production life together, and this whole crazy notion of recording/producing a horror show within a couple weeks of Halloween. Their mad experiment continues to inspire, with 2016 seeing international entries as part of 11th Hour Audio Productions. For the record, Intensive Care then won the GOLD Ogle Award, prompting another trip to Minneapolis where Matthew and Fred got to drink tons of whisky together. Hence the incident with the car keys. This year Radio Drama Revival hosted six (!!!) parts of the international horror train series on the show. Transcontinental Terror had about ran out of fuel, but we kept up our typical Halloween horror fare. Our favorite from this year was “The Ram King” by Tales from Beyond the Pale. Producer Fred went mostly off-the-grid (the reason, as would be uncovered, was to record the epic 13.5 hour audio horror saga Locke & Key for Audible). Somewhere in here though the steampunky horror classics “A Journey with Strange Bedfellows” came out, a production of FinalRune and Forest Rose Productions – another Ogle finalist! Here on Radio Drama Revival we got to celebrate #WorldAudioDramaDay – we’re not exactly sure who started it, but we’d like to think some amount of the festivals we’ve run in the past, combined with the historic occasion of Orson Welle’s “War of the Worlds” helped conjure this particular holiday into existence – with the playing of our first 11th Hour Production: Vultures Over Low Doves. And our friends at 11th hour really overdid themselves this year! Here’s to ten more years of thrills and chills, folks!